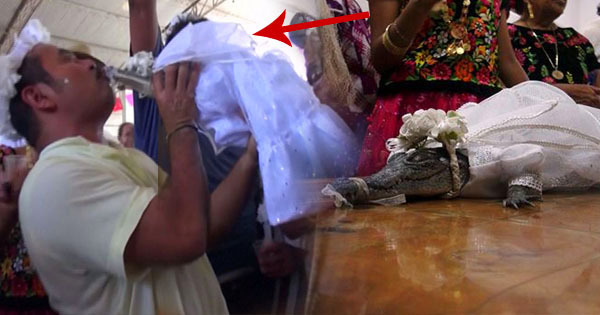 Mexican Mayor Marries a Crocodile in a Bizarre Wedding Ritual! Watch It Here! This Mexican town is celebrating their mayor getting married to a princess – but not for the reasons you may think! 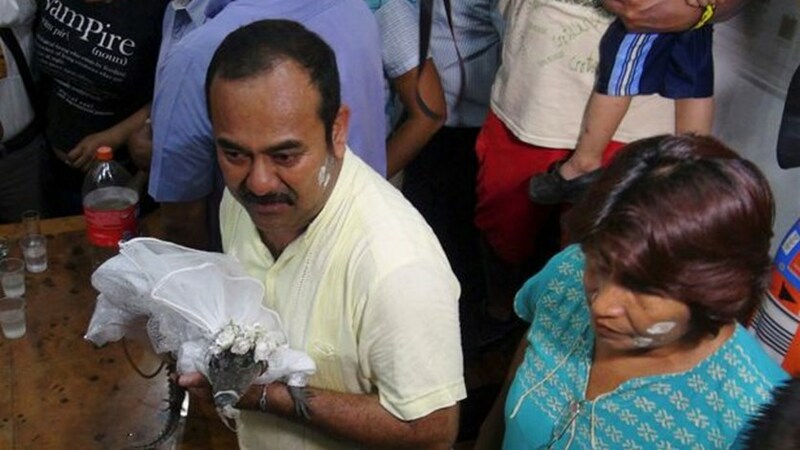 A story has trended all over social media about Mayor Victor Aguilar and who went and married a female crocodile named ‘The Princess’! 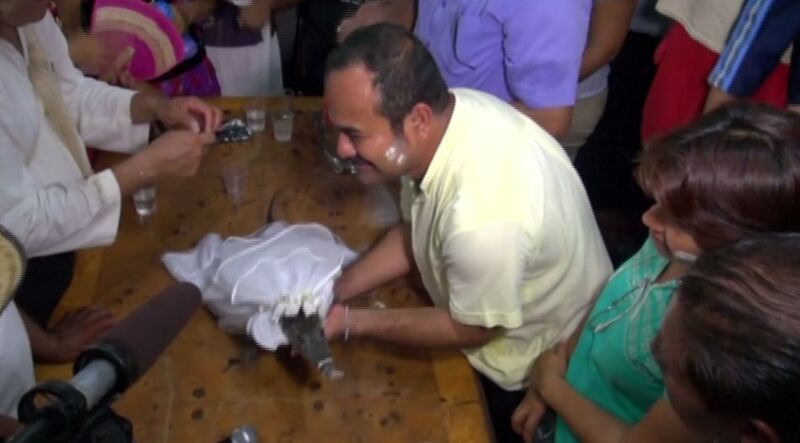 Before you readers assume the politician lost his mind and married an animal out of love – it turns out that Mayor Aguilar and married the crocodile as part of an old tradition dating back to their town’s ancient history. Apparently, this ritual is performed in order to ‘bring luck’ to local fishermen. 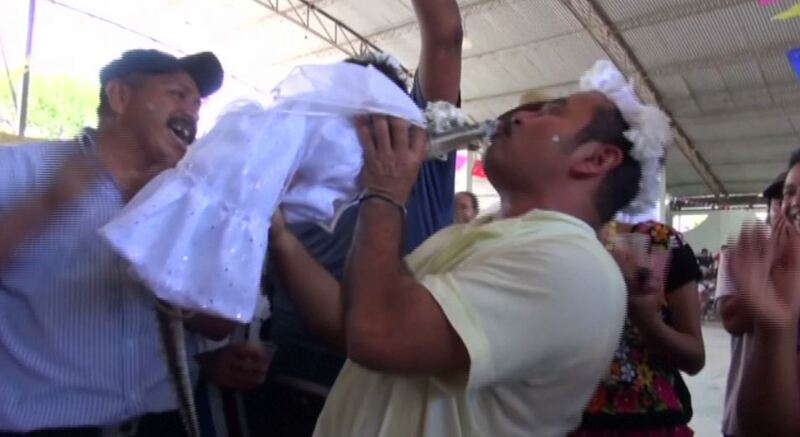 As is tradition, ‘The Princess’ was baptized on June 27. After all, it is only proper that a Christian marry a fellow Christian. She was fitted for a custom-made wedding dress and even wore a veil on her head. Princess the crocodile was then was paraded through the town streets escorted by band music. 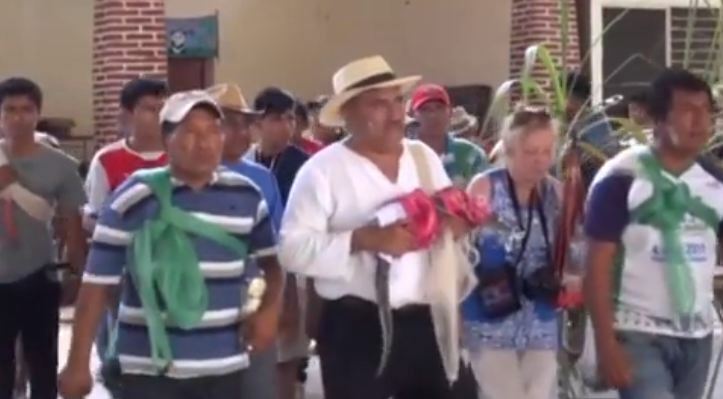 After the parade, the crocodile was married to the mayor of San Pedro Huamelula at the town hall. Unsurprisingly, her jaws were clamped shut for the couple’s special day on June 30. Here’s a picture of the Mayor of San Pedro Huamelula, Victor Aguilar, and his blushing (?) bride. 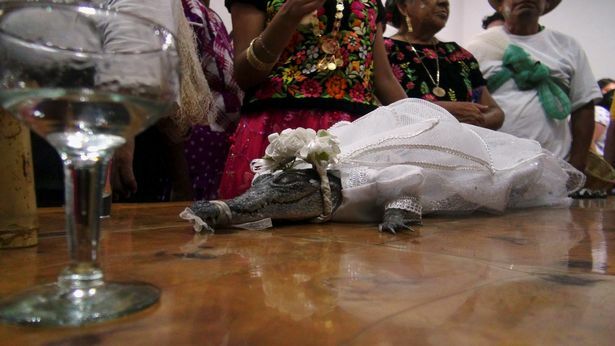 Since 1789, Chontal Indians have performed this crocodile marriage ritual. 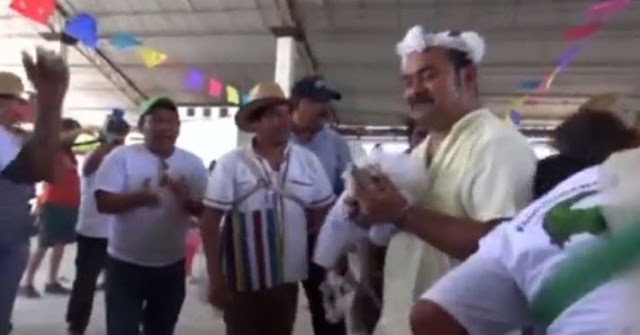 They believe the ceremony will bring prosperity and good fortune to fishermen during the fishing season at the Isthmus of Tehuantepec, located at Oaxaca State along the Pacific coast. We can’t imagine what a honeymoon with a crocodile must be like. Hopefully, she won’t be a snappy wife. What can you say about this bizarre wedding celebration? 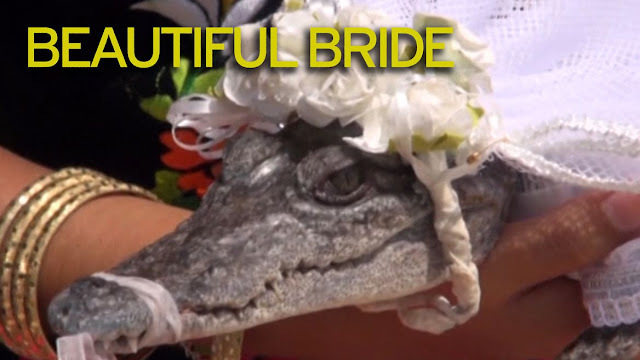 Would you marry a crocodile if it gave you good luck? Share your thoughts over this unusual custom in the comments section!